Global regulators are swiftly moving to reduce the amount of fraud, manipulation, and illicit activities that exist within the cryptocurrency markets, and many of these problems stem from the lack of actions taken by exchanges to stop such things from occurring. By cooperating with global regulatory authorities, exchanges can reduce fraudulent market activity, and provide their clients with a safer investing environment. In 2018 alone, over $731 million has been stolen from cryptocurrency exchanges, and the majority of exchange hackings can be attributed to internal malpractices by the management teams. Earlier this year, Japanese cryptocurrency exchange Coincheck, was hacked for $500 million worth of cryptocurrency. Following the hack, the exchange admitted that the weaknesses in their security was a direct result from a lack of talented and experienced developers working at the company. There are several other examples of exchanges being hacked as a direct result of internal malpractices, including the recent Coinrail hack, which cost the exchange $40 million. Following the hack, South Korean authorities found that the exchange’s security flaws were the direct result of internal malpractices by the exchange’s management team. Part of the problem is that exchanges aren’t being held accountable for their practices, which can, and already has, lead directly to the loss of investor’s funds. Regulators are beginning to implement methods that hold cryptocurrency exchanges to higher standards to ensure that investor’s funds are safe. One such regulatory measure being taken by regulatory authorities is the creation and issuance of a Distributed Ledger Technology License (DLT License). Starting on January 1st, 2018, the Gibraltar Financial Services Commission announced that any firm conducting business relating to distributed ledger technology or the transmission of value belonging to others must receive a DLT License. This license ensures that companies, including cryptocurrency exchanges, follow a strict set of principles that ensure the safety of investor’s funds. In order to obtain and maintain a DLT License, exchanges must prove that they are taking adequate actions to protect investors funds from nefarious actors, and to eliminate the use of the exchange for illicit activities by implementing strict AML/KYC procedures. The exchange’s management team must also prove that they have the necessary experience and resources to maintain and run the exchange in a way that is beneficial to clients. For more information regarding the regulatory principles required to obtain a DLT License, please read here. Regulatory measures like the DLT License are revolutionary for the cryptocurrency industry, mainly because they ensure the safety of investor funds, but they offer a significant amount of other benefits as well. By obtaining a DLT License, exchanges can legally work with banks in order to provide fiat onramps for clients, without the risks of deposits/withdraws being locked. Exchanges with a DLT license will also be subjected to independent annual audits, which ensure that the exchange is abiding by the regulatory principles and that the management team is conducting good practices in favor of clients. It also ensures that the team themselves do not pose any threats to investor’s funds. Many people in the cryptocurrency industry claim that the next bull run will ensue after institutions begin investing in the markets. 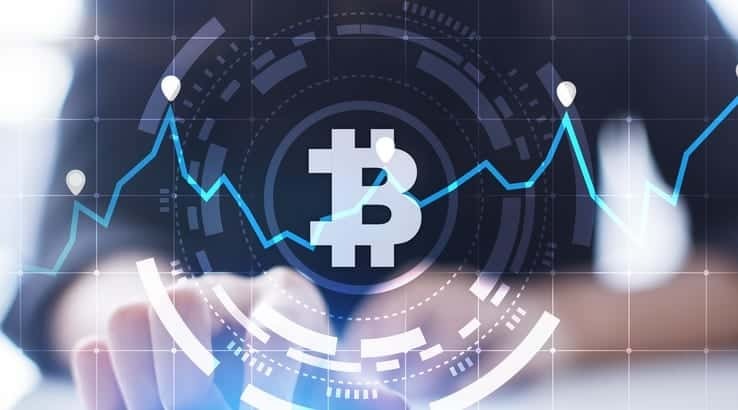 Part of the reason institutions have been slow to enter the cryptocurrency markets is because there are not any investing platforms that are fully compliant with governmental regulations. A DLT License proves to institutions that the exchange is compliant and that it will act as a good option to enter the markets through. Cryptocurrency exchange Covesting is close to becoming one of the first companies in the world to receive their DLT License from regulatory authorities in Gibraltar. The exchange is under a month away from their soft-launch, and they are expecting to receive the license before the platform launches in September. In order to receive their DLT License, Covesting had to prove to regulators that they have implemented strict measures that ensure the safety of investor’s funds, and strict KYC/AML practices that reduce the amount of illicit activities occurring on their exchange. The exchange will offer investors several benefits thanks to the DLT license, including fiat deposits/withdraws, institutional investment solutions, and unprecedented digital security. Investors and traders will be able to utilize the platform’s suite of features, including copy-trading, instant order execution, aggregated liquidity, arbitrage bots, and more, all while knowing that their funds are safe and that the exchange is compliant with all regulations. The Covesting team had to provide regulators with a significant amount of information pertaining to their platform features, back-office workflows related to tax monitoring, and their KYC/AML practices. By being on the cutting-edge of industry regulations, Covesting has proved that they are setting a new bar for the cryptocurrency industry that other exchanges must work towards. “After the launch, we are determined to raise the bar of the cryptography industry, becoming the leading and one of the most reliable crypto-instruments in the world,” – Pruglo added.